Brothers Old Tom Gin is a gin recipe popular in 18th-century England that is now rarely available. It is rumored that distillers would add sugar to a poorly made batch of Gin to mask the flavor, and make it more palatable. It is slightly sweeter than London Dry, but slightly drier than Dutch/Holland Gin/Jenever, thus is sometimes called The Missing Link. 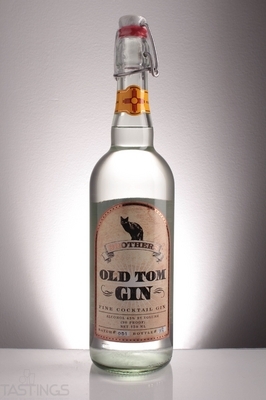 The name Old Tom Gin purportedly came from wooden plaques shaped like a black cat (an "Old Tom") mounted on the outside wall of some pubs above a public walkway in 18th-century England. After a pedestrian deposited a penny in the cat's mouth, they would place their lips around a small tube between the cat's paws. From the tube would come a shot of gin, poured by the bartender inside the pub. 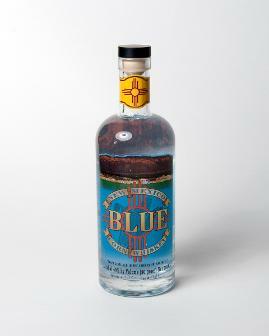 NM Blue Corn Whiskey is a traditional corn whiskey made with only pure New Mexico water and 100% locally sourced roasted and ground blue corn. Triple distilled the old fashioned way in our handmade copper artisan potstill giving us a robust full bodied whiskey, with just a hint of sweet popcorn. Fermented and distilled in the shadow of the Sandia Mountains at an elevation of 5,300 feet, New Mexico Blue is a truly New Mexico spirit. 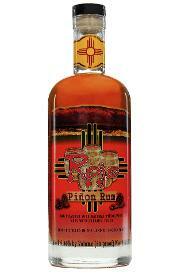 Rojo Piñon Rum is made in the traditional Caribbean style with the finest Grade A molasses, but with a southwest twist. We add Piloncillo sugar to our mash for added flavor. After fermenting, Rojo Piñon Rum is distilled in our handmade pot still. Finally, roasted New Mexico Piñon nuts are added for a unique, robust nutty flavor. 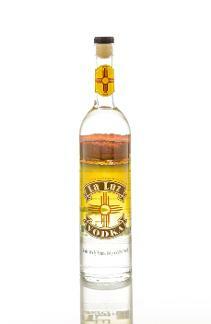 La Luz Vodka is a very clean clear vodka that does not smell or taste like much. We believe that when using vodka in a cocktail it should not influence the flavor of the other ingredients. This is where La Luz Vodka shines. The inspiration for the La Luz Vodka comes from a hiking trail that ascends the Sandia Mountains that overlook Albuquerque. After hiking to its 10,500 foot climax, it becomes clear why New Mexico is called "The Land of Enchantment."